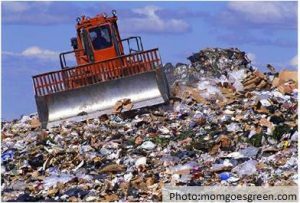 Plastic recycling is an option for plastic pesticide containers made of high-density polyethylene (HDPE), which can be recycled through an approved pesticide container recycler. Rinsed containers are not to be handled as general household plastics and put in the general plastic recycling stream. Contact the Ag Container Recycling Council (ACRC) or your state agency responsible for pesticide regulations for assistance (AAPCO) in locating your local pesticide container recycler. 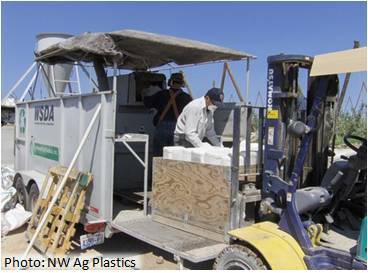 ACRC and the American Society of Agricultural and Biological Engineers have developed stringent guidelines for handling recovered high-density polyethylene HDPE, from the moment when containers are rinsed, right through the manufacturing process. You can also learn more about safety and public health issues here. ACRC needs to ensure how the plastic will be used and what the end product is for the plastic so no residues on or in the resin will have any real or perceived adverse affect on the environment or the user. Some of the end product generated from chipped containers include underground conduit, pallets, field drain tiles, speed bumps, and many more. All sizes of plastic containers are accepted from pints to drums; however, they must be triple or pressure rinsed. classified as hazardous by the federal Resource Conservation and Recovery Act. Because pesticide containers that are not properly emptied (paper) or rinsed (plastic/metal) fall into this category, pesticide applicators frequently have difficulty disposing of unrinsed or improperly rinsed containers.